Speech signals have a periodic envelope which can be used for speech separation. The choice of amplitude modulation spectrum (AMS) for speech separation is motivated by biological observations that variations in modulation frequency provides a long term window for characterizing speech information, especially in noisy and reverberant environments. 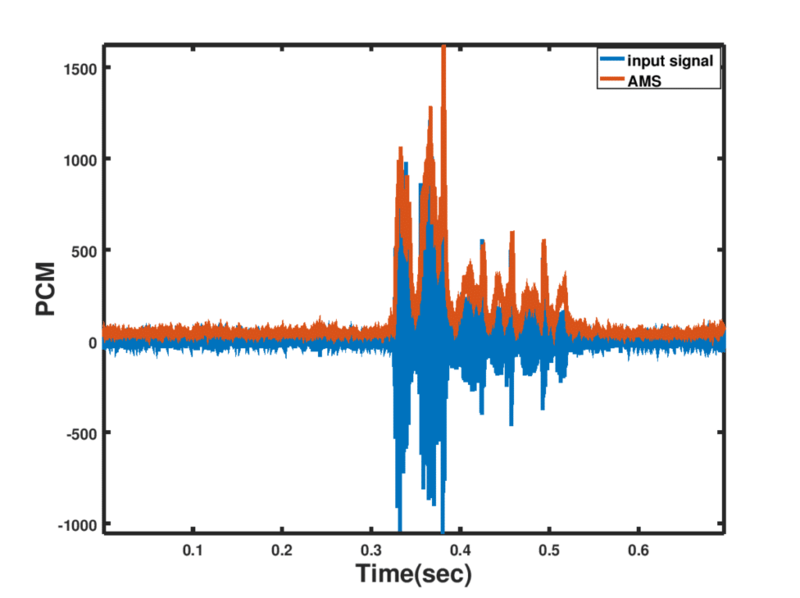 The AMS signal can also be used to detect the pitch of speech. However, this approach is very sensitive to noise.